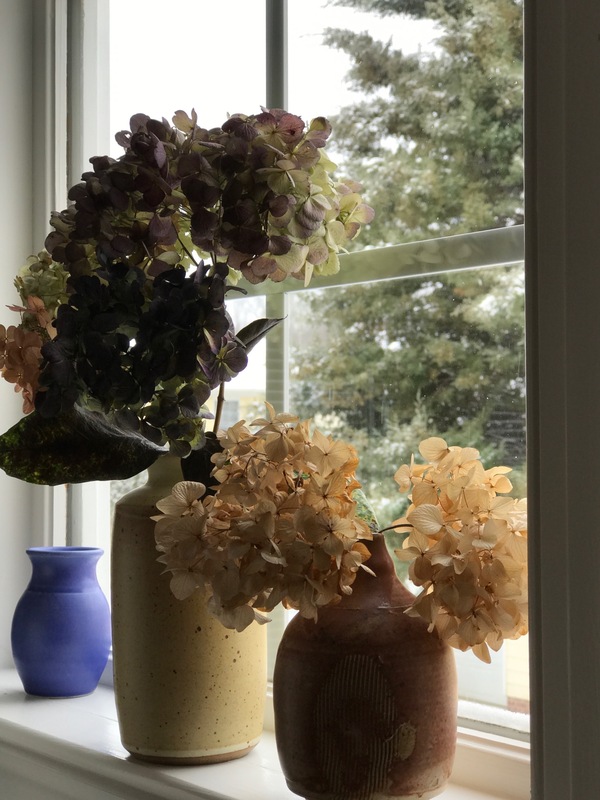 Saving flowers for winter displays is slowly becoming natural for me and I do love Hydrangeas in particular. The pale hints of colour are a nice reminder of what is to come (again) later this year! All the best to your husband for a speedy recovery, and to you too Susie. That dark one is particularly splendid. Beautiful winter display. Hope all continues to go well with rehab. Will be thinking of you both. My favourite picture is the Close up one of the petals, the details are beautiful. Best wishes to the patient. I must admit I like Hydrangeas best when they are like yours, all subtle and mysterious. I love the close up! Sending well wishes! sorry to learn about your husband’s back op and hope he’ll be better soon, Susie, the hydrangeas are delightful and fading colour doesn’t reduce their attraction one bit. 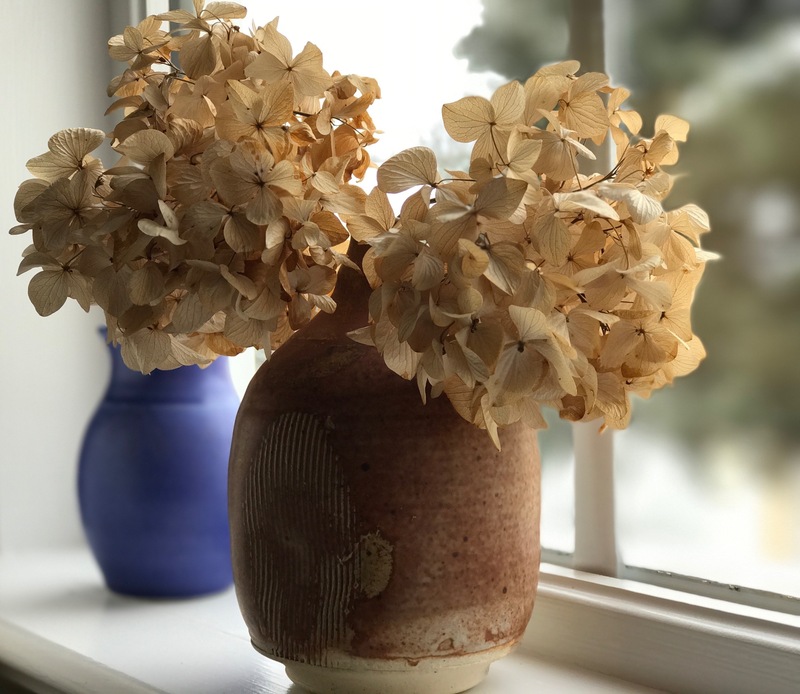 I love dried hydrangea and yours look wonderful in their pottery, Susie. I hope your husband mends quickly. I heard that watching comedies and listening to comedians helps speed recovery. He might give it a go! Thanks Eliza. Good tips. We’re resorting to comedy anyway to help us through these times. 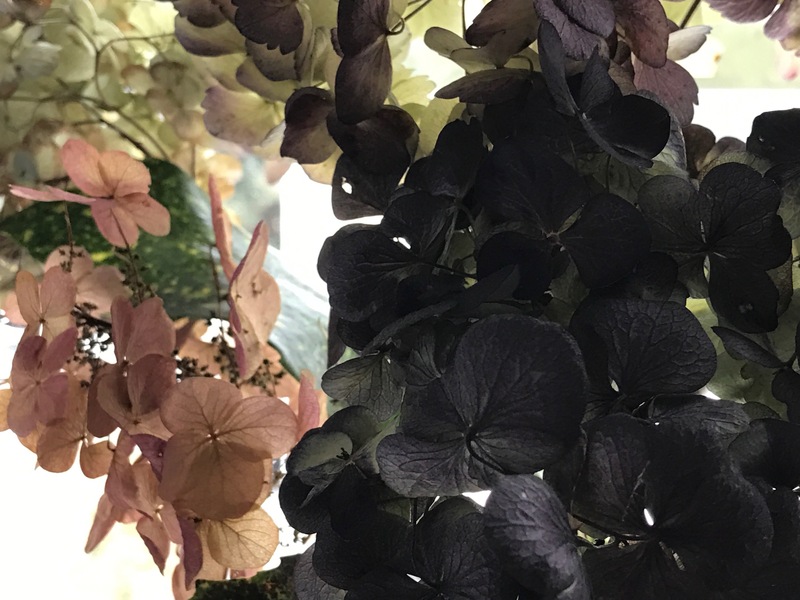 I think of dried Hydrangeas as antique shades of color. I think the muted tones go especially well with the wintry backgrounds. 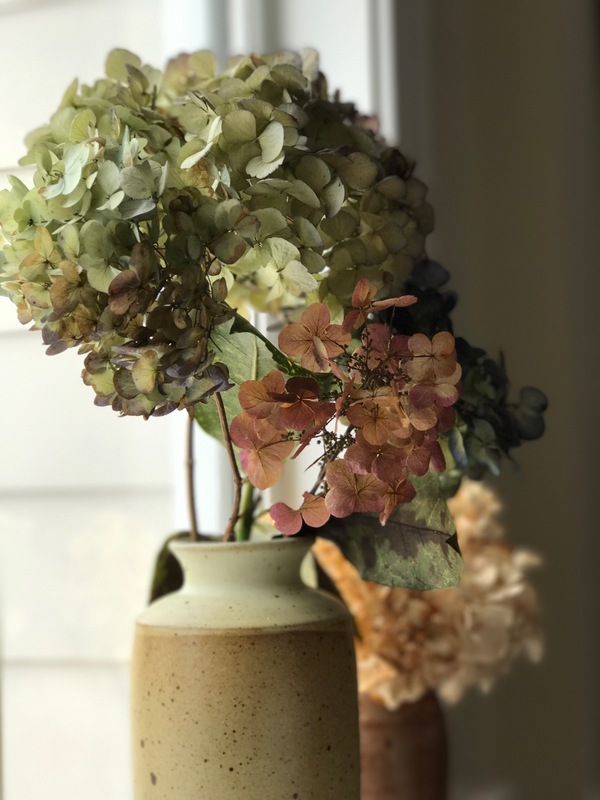 Hydrangeas make the most beautiful dried flowers, without question. I hope your husband enjoys a speedy recovery and you bring him home soon. Kris, thanks for the good wishes. It’s hard for me to respond on blogspot sites using mobile, but know I admire your participation in the march. And loved your vases. 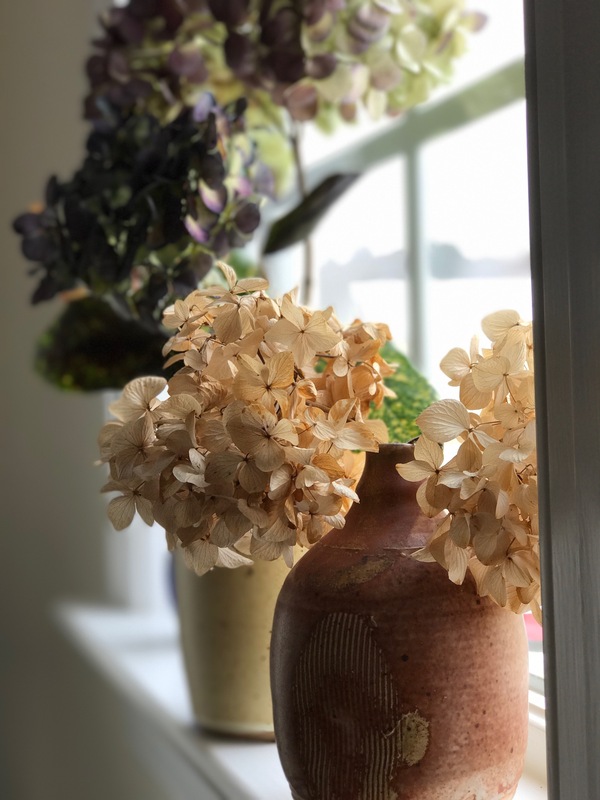 What great value hydrangeas are for all seasons. The dried heads take on such lovely antiquey shades. I hope your husband recovers well from his op. Thanks so much. Recovery is slow but we’re seeing progress. Thanks Judy. Glad you found good success with your back surgery. 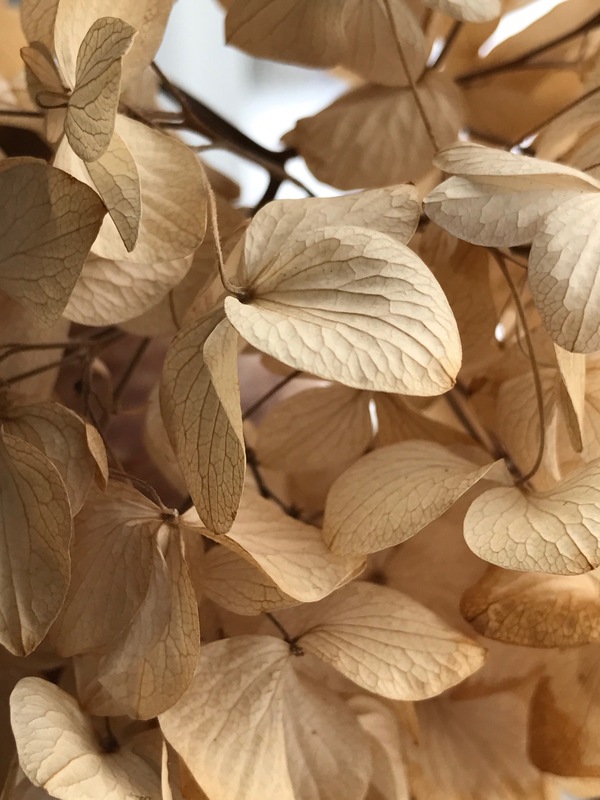 Very lovely and romantic way to capture the beauty of dried hydrangea. By the way, I would like to point out that you forgot to change the copy right date from 2016 to 2017. Beautifully subtle colours. 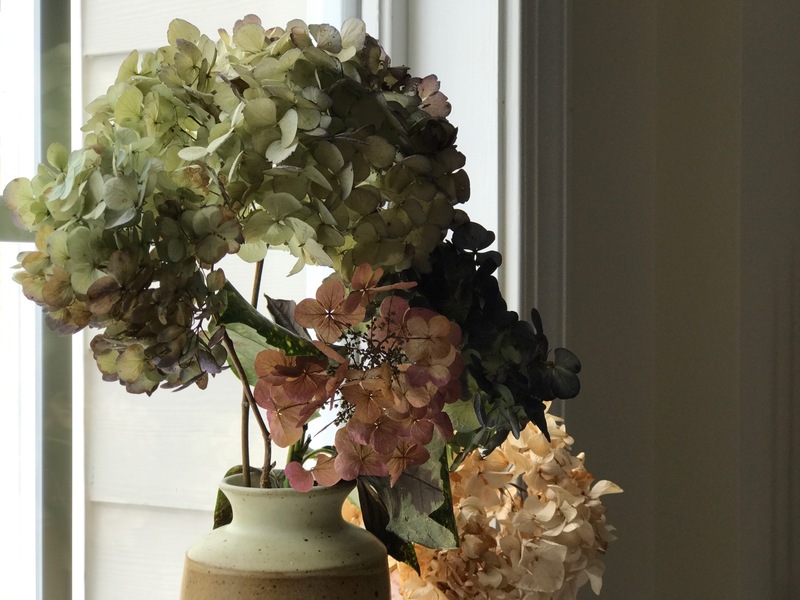 I prefer the dried seed heads of the Hydrangeas to the fresh flowers. I do this with my Hydrangeas, too, and they last for years! I hope your husband is healing well. Really SO lovely… I do think hydrangeas are almost magical flowers. They are there for us in almost any season and change with each season. Your close ups are just stunning Susie. I hope your husband is doing alright…and that you too are taking care of yourself.